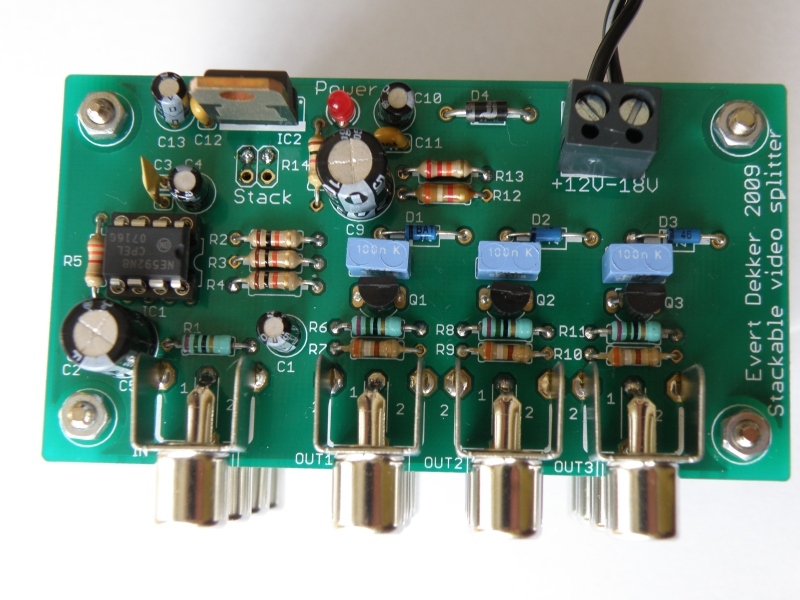 A simple analog 75Ω video splitter amplifier based on the NE592. What can you tell about this? Not much. 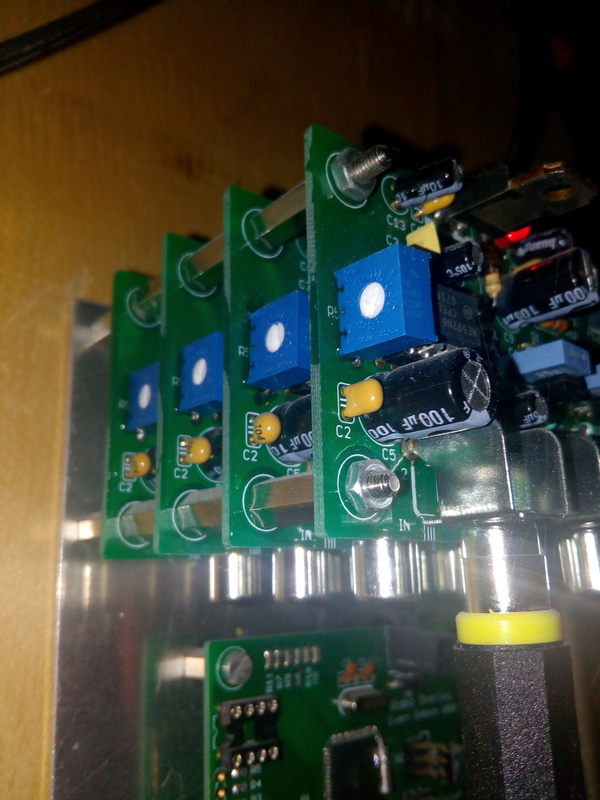 I needed a video signal splitter to get the signal from the security cams to the recorder, web server and monitor. 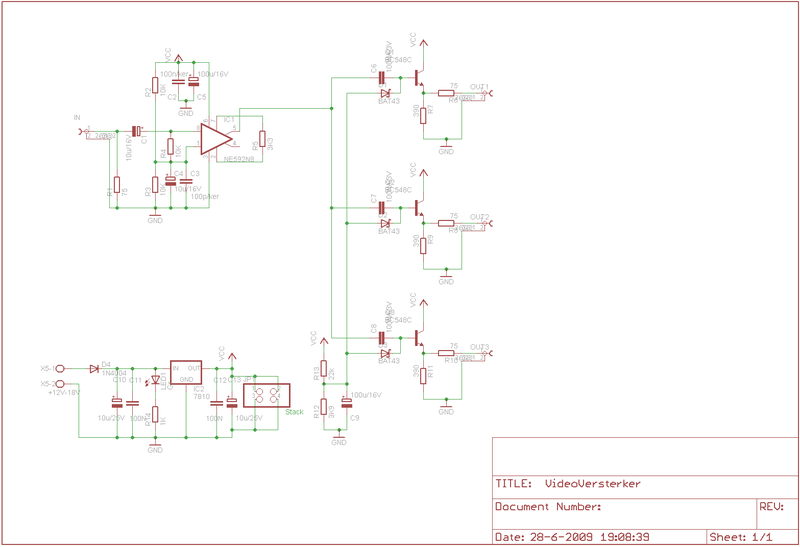 It splits 1 input to 3 outputs. 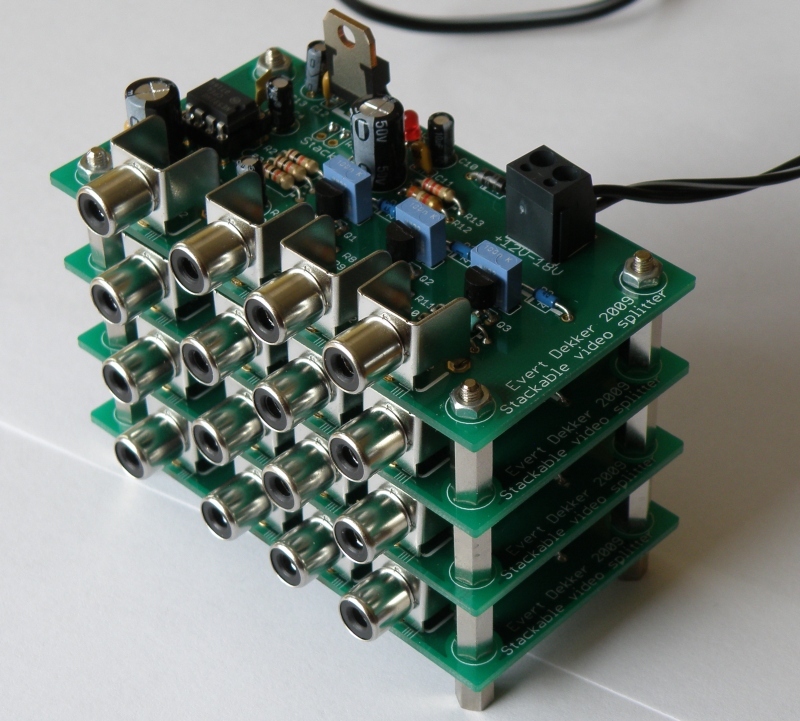 I made it stackable so that you need only 1 power supply, thus the stack passes only the supply no video. In this design the gain is determined by R5 3K3, however for some cameras the gain was to high and I replaced R5 with a 25K trim pot meter so you can adjust the gain. 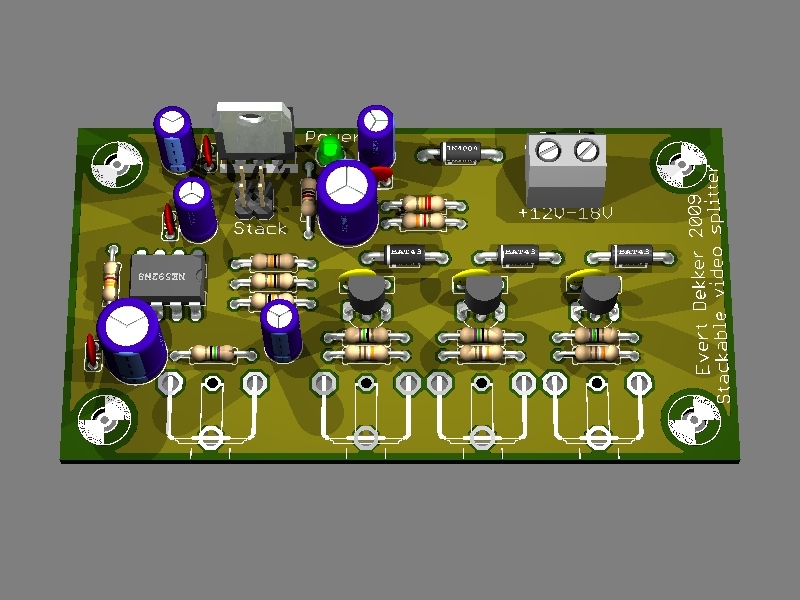 If you want to make one yourself, contact me for the pcb or download the Eagle-cad files here.